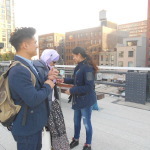 SUS 299 students stroll through The Highline in Manhattan. Introduction to Sustainability Studies (SUS 299) students and Professor Mielna Popov enjoyed a field trip last week. They explored Dionisio Gonzalez’s exhibit “Habitable Artefacts“ at the Gallery Richard. Talking to Mr. Jean-Luc Richard, the gallery owner, they learned about the role of street galleries in Chelsea in the burgeoning art scene that confronts sustainability and eco-design. 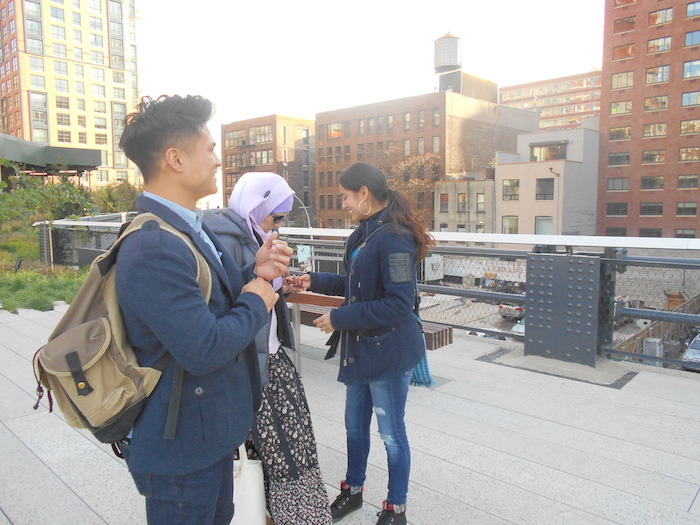 After checking out the gallery the class walked through the recently opened new section of The Highline park, an example of the urban redesign of post-industrial spaces, in this case, old elevated train tracks.